Misty Curry (Funke) was born and raised in Latah County Idaho. She grew up in a small country town of Bovill. She moved to Moscow where she began her career in 2001. Her professional and community background includes positions at Umpqua Bank as a Lead Associate, board member for United Way of Latah County and currently active as a board member on Palouse Cares. 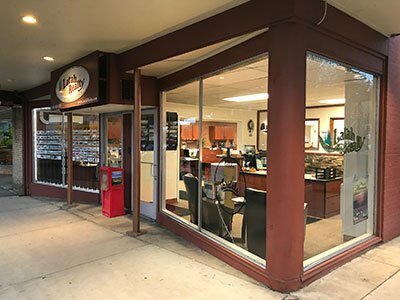 Her relationship with local businesses and non-profits in Latah County has enriched her customer service, honesty and professionalism. Misty’s strengths are listening to her clients’ needs which gives her the ability to be an outstanding agent for her clients. Misty resides in Moscow with her husband Mark, where they experienced the purchase of their first home through Latah Realty. In their free time, Misty and Mark enjoy supporting local community businesses and outdoor activities like rafting, hiking, biking, and camping with family and friends. Misty was amazing! We were first time home buyers with no clue how the process worked and she was there to help us through the entire process. She answered all our questions and was in constant contact with us through everything. I won’t hesitate to tell anybody I know that’s looking for a real estate agent to call Misty. She is on top of everything and even catches the small details that we would never have thought of on our own. Thank you Misty for making this whole process seamless! My wife and I recently contacted Gary Tribble about looking at property but he was leaving town and handed us off to Misty Curry. She gave us a wonderful tour of the area, showed us every possible home and lot that was available all in one day. We chose two lots on Hampton Court which we purchased the next day with her help and excellent support from Sean Wilson. Misty recommended Richard Smith for a building contractor and after interviewing four we chose Richard and he has been wonderful to work with and is pouring our foundation tomorrow. My wife and I cannot praise Misty, Gary, and your company any more highly. They were very professional, police, helpful, and made the entire experience wonderful. I have bought many homes over the years and this team is the best I have ever worked with. If living in Moscow is as good as our experience so far we will love it. We absolutely LOVE Misty Curry. Her professionalism, knowledge, and personality makes all of our home buying/selling experiences smooth and quick. This is our 2nd home buying experience with Misty and Latah Realty. No complaints here and would highly recommend Misty (which we do) to anyone looking to buy or sell a home. Thanks for everything Misty & Latah Realty. Misty did a wonderful job! Misty did a wonderful job! She was on the ball from day one. During our visit to Moscow, she showed us 15+ homes and after we returned to California, she continued to send us listings and home information. We ultimately purchased our house while still long-distance, and Misty did a great job facilitating the details. She was always incredibly responsive, very professional, and friendly! We will certainly recommend her to family and friends. Thanks, Misty! Misty went above and beyond for us! She stuck with us while we were selling our house in Oregon and quickly figured out what type for property we were looking for. Not only did she show us all of the properties we were interested in, she also found new properties to show us that weren’t even on the market yet! Misty is very kind and honest and we will recommend her to everyone we know! Thank you Misty for being amazing! Simply put, Misty was amazing. She helped us find a home when there were limited options. She helped us navigate the process and kept us up to date. Our transaction became somewhat challenging and Misty really helped keep it as smooth as possible. If we had a question Misty was on it and got right back to us. We truly felt that she was on our team, working hard for us! Misty and I started looking at land. When I changed my mind and decided to look for a place in town, she changed gears with no fuss. Not only did she hike all over 40 acres with me, but she was pregnant with twins! When she had to go on maternity leave, the Latah Realty team stepped in and took care of me through closing. I am so pleased, I was able to get exactly the starter home I wanted thanks to Misty’s patience and dedication. Her daughters will be so proud of their mom when they grow up!